Core frills to add to the thrills. 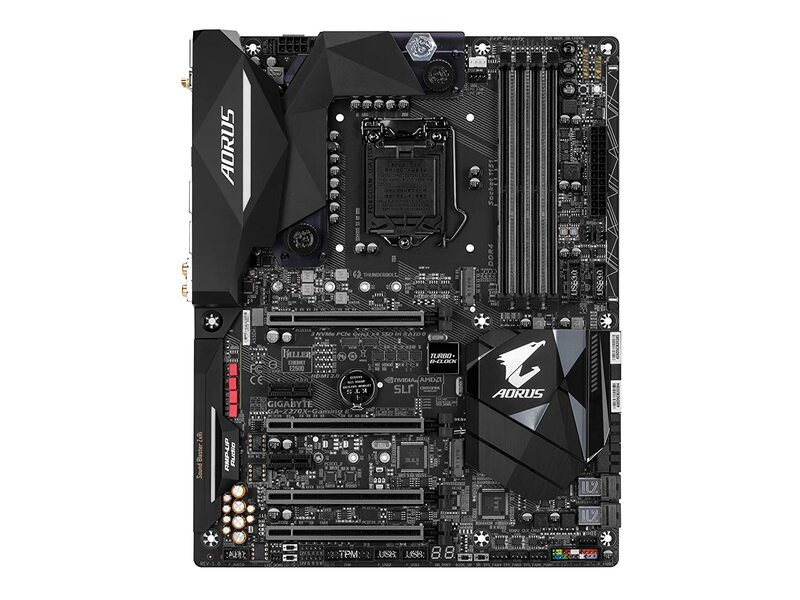 Afew Aorus motherboards have passed through the labs over recent issues, and this month, the Z270X-Gaming 8 joins the Gaming 9 at the top of Aorus’s Z270 stack. A few core features differentiate the two — namely the motherboard based CPU VRM watercooling solution, the networking setup, multiGPU support, as well as smaller changes, such as the Gaming 8 being built to the ATX form factor, whereas the Gaming 9 uses the extended-ATX (EATX) form factor to squeeze in additional components. The Gaming 8 uses a VRM water-cooling solution branded the Bitspower G-Chill Hybrid Water Block. The Gaming 9, on the other hand, implements a solution by EK Water Blocks — often seen as the king of custom water cooling — in the form of the EKWB G-Frost Hybrid Water Block. In both cases, the cooling solution provided is of very high quality, well implemented and delivers comparable capability. There are also some key differences between the networking. The components used in the Gaming 9 will be viewed by some as a significant bonus, while others may view them as a deterrent. The positive view of the Gaming 9 is the ability to aggregate the trio of Killer-branded NICs, across two Gigabit Ethernet ports and a 2T2R 802.11ac wireless NIC, meaning you can combine all connections into a single one to maximise potential bandwidth. This requires supporting network hardware at the router/ switch end and some configuration to achieve the desired outcome, but it’s not a difficult solution to roll out. Not everyone is a fan of the Killer series of NICs, however. Many prefer the tried and true Intel I219-V NIC you can find on so many other Z270 motherboards — and in that area, the Gaming 8 has you covered. Splitting the difference, the Gaming 8 still provides twin Killer NICs — the Killer E2500 LAN and Killer Wireless-AC 1535, which can again be aggregated for increased bandwidth via network teaming. However, for the networking diehards Gigabyte’s also included a second Gigabit Ethernet port powered by the Intel I219-V chip. 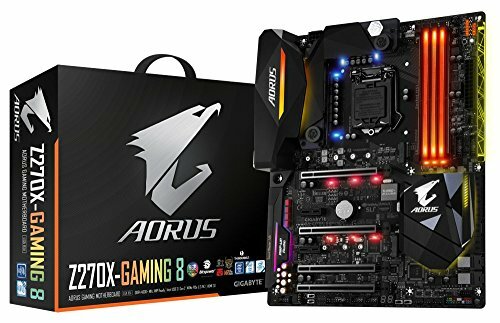 In comparison with the Gaming 9, the Aorus Z270X-Gaming 8 has also cut costs with the choice to reduce SLI support to two-way setups. This meant the removal of the special PLX chip that’s used to facilitate the four-way SLI support on the Aorus Z270X-Gaming 9. We welcome this alternative spec implementation as a more practical move for positioning the Gaming 8 into a more palatable price point versus the Gaming 9, with near equivalent specs for the average Z-platform expectations. Because, really, if you’re looking at a four-way GPU solution, then Intel’s X-platform (i.e. X99 chipset boards) is a far better way to go. To concisely sum up then, for most high-end users, the Gaming 8 offers a more realistic and practical spec when compared to the Gaming 9. While the latter has extra features, they’re ones few people really need. A toned-down version of its brethren, but appropriately reduced in all the right places for a fulfilling solution.